Bird’s mission is to create eyewear which not only looks good, but does good, too. Sustainable materials used include FSC-certified wood, repurposed aluminium, and recycled packaging, and every pair purchased brings solar light to families in Malawi, Zambia and Uganda through their Share Your Sun partnership with SolarAid. Founder Ed Bird owns the company alongside brothers Lawrence and Paul, and wife Sarah. A family of creatives with diverse interests, Bird represents their longstanding aspiration to collaborate on a venture combining business, design and social purpose. They are part of a new wave of innovative Devon entrepreneurs pioneering ethical and sustainable fashion. In 2018, still brand new on the eyewear scene, Bird expanded into prescription glasses, and designed the Blackcap frame (pictured). 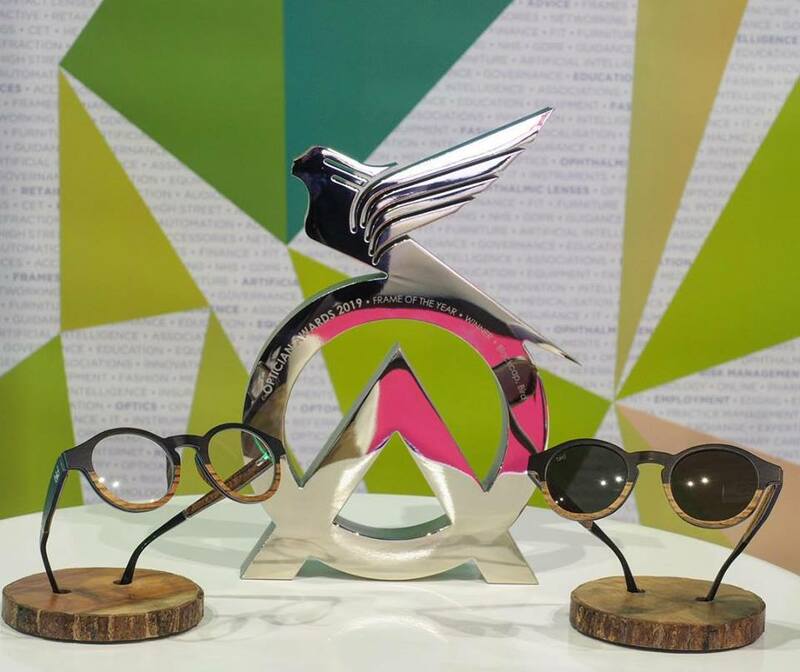 Ed decided to enter this model for ‘Frame of the Year’ and went on to receive “one of the highest accolades optical professionals, practices and companies can achieve”. The Blackcap model award winner is part of Bird’s Strata range. The frame has been highly engineered using multiple layers of sustainable bamboo, sandalwood and beechwood, plus two core layers of aluminium for strength. Its distinctive colour palette and shape nods to classic cat-eye and retro-round designs. For more information, please contact Sarah, at sarah@birdsunglasses.com.